S12-200 – Teeth have a transparent root and colored pulpal wall. Made of epoxy resin. Natural colored crown with clear root the same shape as A5-200 teeth. 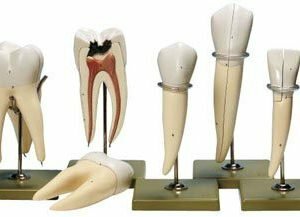 Choose from tooth #3, 5, 8, 9, 14, 30. Price is per tooth.